In our home we have a weakness…kinda the Achilles heel of the Fitzy house. We LOVE chocolate. Like every kind and every way. Dark chocolate…milk chocolate…heck even white chocolate. Just dip it in chocolate and everyone will eat it! If the truth be told chocolate doesn’t last very long in your house. Maybe this goes back to the days when grandpa would visit and everyone had to share a sweet treat before leaving the dinner table. Maybe we just have a genetic predisposition for a sweet tooth. I am not sure…but certainly know we like our sweets especially chocolate. I stumbled across a couple different recipes for homemade peanut butter cups but struggled with the ingredients or to get them just right. After several attempts I have finally come up with my own version. 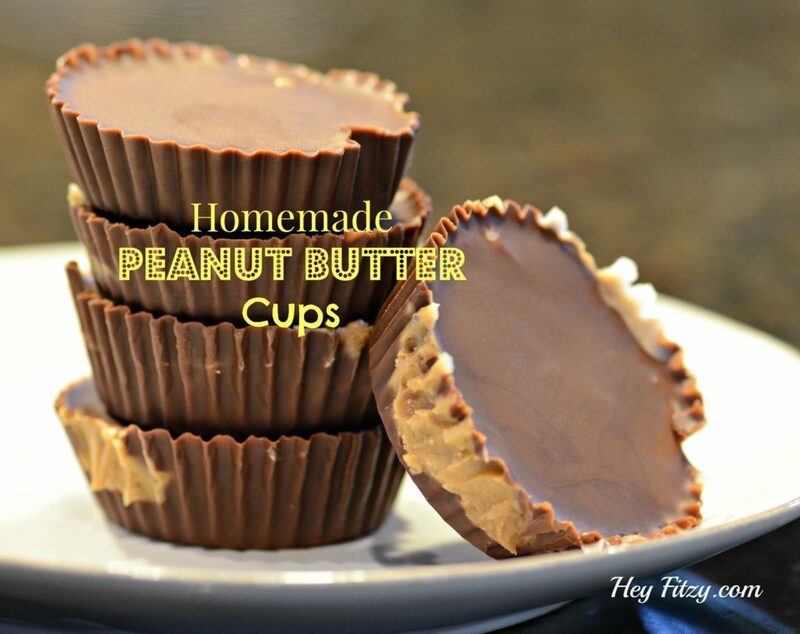 They are simple and easy with only 3 ingredients. We tend to whip them up when the chocolate cravings are driving us crazy and we NEED something fast. 2 cups chocolate chips- You can use either milk or dark depending on your preference. We like to use a combination of both. Ghirardelli chocolate is our favorite. The first thing to do is melt the chocolate. I like to fill a sauce pan about half way with water. Then place a shallow bowl on top of your pan. Make sure the water does not touch the bottom of your bowl. 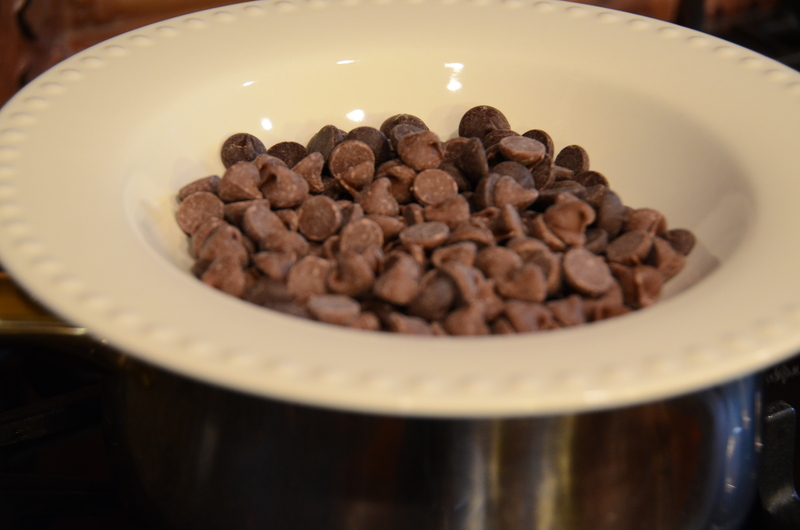 Pour the two cups of chocolate chips along with 1 and 1/2 tablespoon of coconut oil in the bowl. With a medium to medium high heat slowly melt your chocolate. Be certain to stir the chocolate to help with the melting process and pay attention not to over cook the chocolate. You will know it is done when almost all the chips are entirely melted. The chocolate should have a smooth and creamy consistency. While the chocolate is slowly melting I like to mix the peanut butter and about 1/2 tablespoon of melted coconut oil. 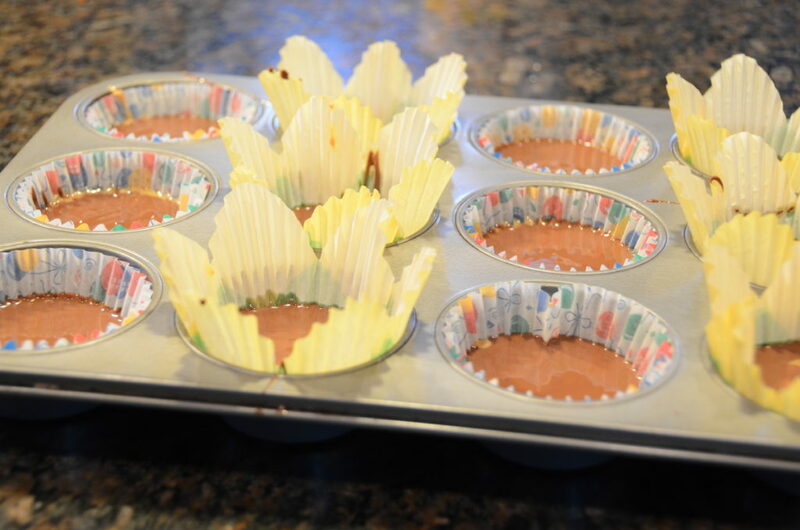 Next you will use half of your melted chocolate to fill the 12 lined muffin tins. 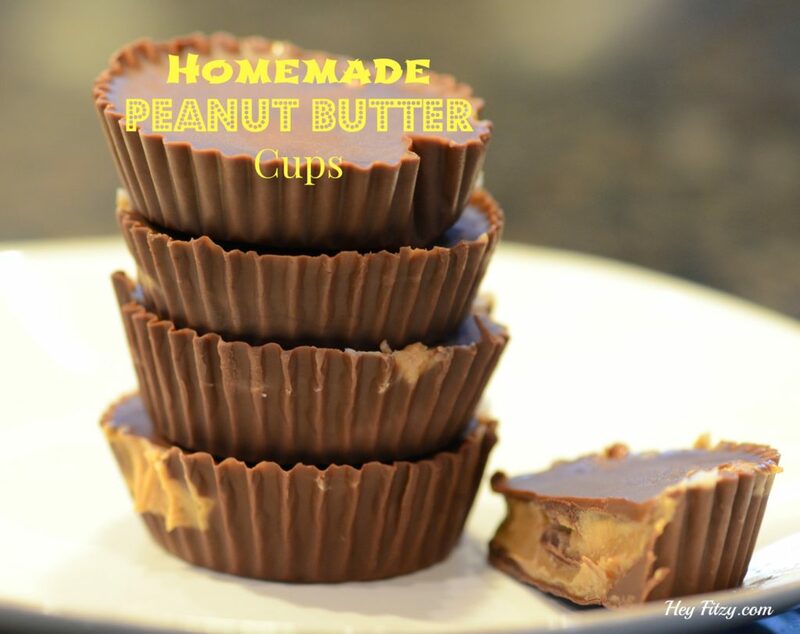 Place a dollop of peanut butter in each. Finally use the remaining chocolate to add the second and final layer of the chocolate. I place the tray of peanut butter cups in the refrigerator to help the chocolate set up. 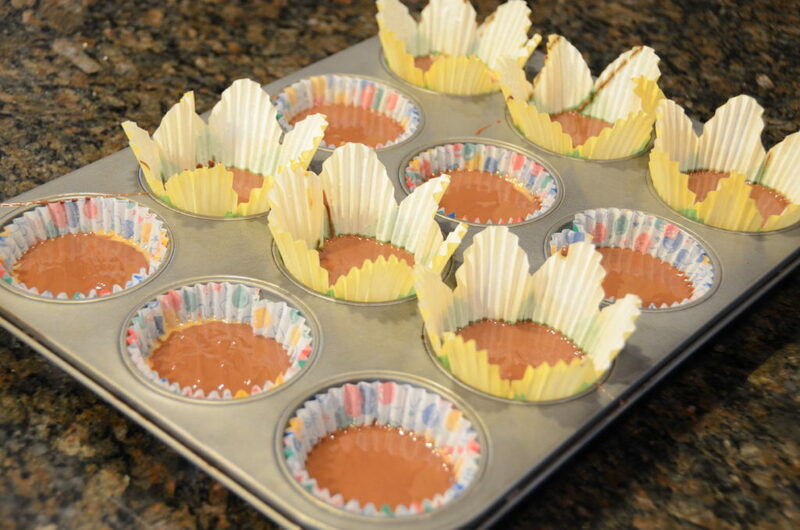 It will take approximately 15-30 minutes for the chocolate to harden. If you have any left be certain to store them in the refrigerator.